This dead zone internet resource collection includes activities, assignments, and reading materials created specifically for educators. 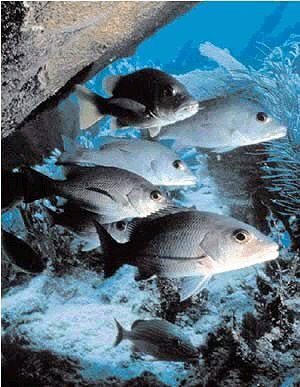 Fish populations such as these are threatened in the Gulf of Mexico hypoxic zone. Photo is courtesy of UK Independent Environment. History of the Gulf of Mexico "Dead" Zone, by Martin B. Farley, University of North Carolina at Pembroke. This student activity engages students in analysis of the last 1000 years of the Gulf of Mexico hypoxia zone (informally "dead" zone) by using relative abundance of low-oxygen tolerant benthic foraminifera. In this example of environmental micropaleontology, students evaluate whether the "dead" zone has existed in its current form for many centuries or has become more intense in the time of increased anthropogenic input of organics (i.e., fertilizer). 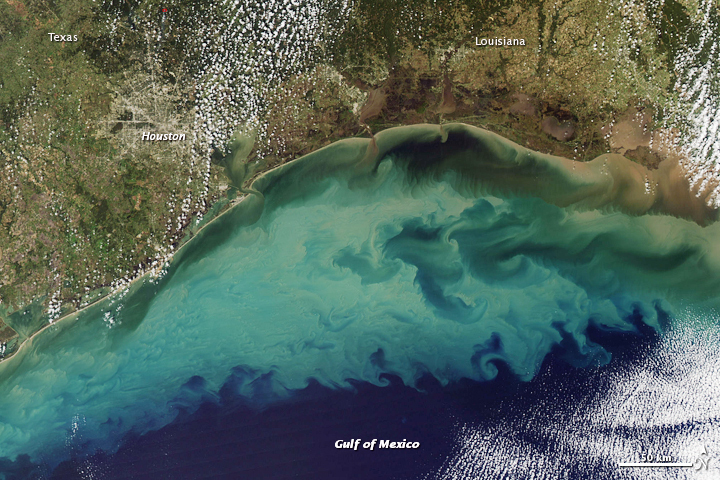 Dead Zones: Why Are the Waters Dying? : This Educator resources website provides a highschool-undergraduate level activity regarding dead zones. This resource was originally accessed through the BioSciEd Net (BEN) digital resources collection, which is the National Science Digital Library (NSDL) Pathway for biological sciences education. For more teaching resources, please visit BEN to use their searchable database.BEN is free to use, but requires registration. 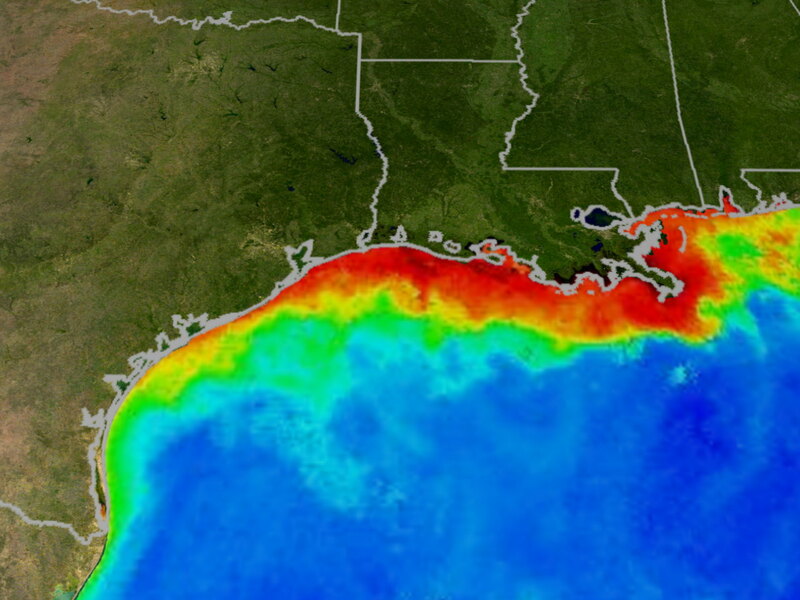 General Collection: Resources such as news articles, web sites, and reference pages provide a comprehensive array of information about dead zones- in the Gulf of Mexico and worldwide! Advanced: Compiled for professionals and advanced learners, this dead zone collection includes resources such as journal articles, academic reviews, and surveys.